The Homestead dairy building differs from the other timber buildings in that it sits on horizontal bed-logs rather than having posts in the ground. This is an old European method of construction that appears now and then in the Paterson area. It is not common because once the bed logs rot, there’s not much that can be done to save the building. 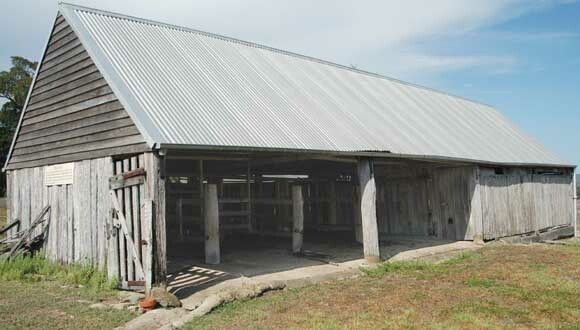 The dairy was where Tocal’s Jersey cows were milked daily, providing rich milk, cream and butter for the families who lived on Tocal. Milk from up to three Jersey cows also provided a supplement to fatten show bulls. This common practice can lead to a false impression of a bull’s genetic value. The present College dairy was established in 1965. It is now operated by NSW Department of Primary Industries and is used to train students in dairy operations. The dairy has herringbone bails with a viewing platform for group tours.